Nintendo has announced its plans for the Wii U, with Japan getting its hands on the next-gen console from December 8, while the US and Europe will see the console land in shops in November. 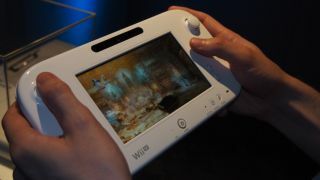 It is the US that will get Nintendo's new console first - the Wii U Us release date has been set for November 18. The Wii UK release date is a little later in the month, with the console arriving November 30 - more than a week before Japan gets his hands on the Wii U. There'll be two models for buyers to choose between; the Wii U Basic which is set to cost around Y26,250 (it will be $299 in the US) in a white finish and a whopping 8GB of flash memory (that was sarcasm, just to be clear). The second is a black-hued Wii U Premium, with four times the memory (32GB), a Nintendo Network Premium subscription and a pricetag of Y31,500 ($349). Nintendo Network Premium is basically a loyalty scheme; you'll get Wii eShop points every time you buy something through it, and 10 per cent back from digital downloads as well. When it comes to UK pricing we are unfortunately in the dark, as Nintendo is leaving that up to 'local retailers'. Both iterations will come with a GamePad, power adaptors for the console and GamePad and an HDMI cable; the Premium edition will also get a console stand and GamePad charging dock and GamePad stand. When it comes to actual games, New Super Mario Bros U and Nintendo Land are coming at launch, with no word of anything coming in the box like Wii Sports did. Given the pretty late Japanese release date, we're not holding out a great deal of hope for a pre-Christmas UK or US Wii U release date, although it'd be a major misstep on Nintendo's part to miss out on the annual spend-fest. So we'll see – the company is planning to announce the European release information later today; fingers crossed for Santa.